Following a complex partial seizure, an epileptic patient experienced a messianic revelation, “compatible with postictal psychosis (PIP)” according to Hadassah Medical Center Neuroscientist Dr. Shahar Arzy, who was able to record the patient’s brain activity in real time via EEG. PIP is characterized by auditory and visual hallucinations, delusions, paranoia, affective change, and aggression. Brain monitoring with EEG (an electroencephalogram) enables neuroscientists to detect electrical activity in the brain. While religious experiences have long been documented in patients with epilepsy, scientists had not yet pinpointed the exact underlying neural mechanisms at play. In this instance, Dr. Arzy and his scientific team witnessed increased activity in the low-gamma range during the patient’s religious experience as compared with activity during the patient’s habitual state. They were also able to identify the “brain generator” underlying this activity and conclude it was localized to the left prefrontal cortex. 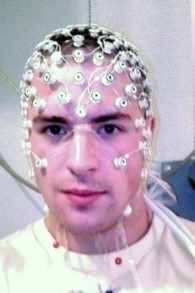 The Times of Israel notes that this study “marks the first time” that the moment of a person’s messianic vision “has been captured on brain-monitoring equipment and may prove a vital step towards deeper understanding of the link to epilepsy.” Read more about the patient’s messianic experience in The Times of Israel.